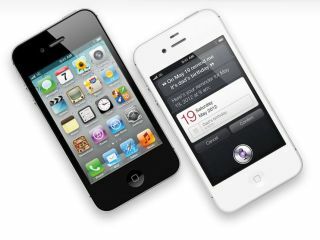 Apple has announced that its new iPhone 4S sold in droves over the weekend, taking over 4 million sales since it went on sale on Friday. Presumably, that includes internet pre-orders and not just those poor souls who physically queued outside Apple Stores all night. Check out our video of the iPhone 4S in action - is it the phone for you? The press release issued today also brags that over 25 million customers are now using iOS 5 on their iPhones, iPod Touches, iPads and the like. iCloud's numbers aren't looking quite so healthy though, with 5 million of those iOS users opting not to bother with the cloud-based services. Sales of the iPhone 4S, meanwhile, are set to shoot even higher as the handset goes on sale in 63 more countries by the end of the year. "iPhone 4S is off to a great start with more than four million sold in its first weekend – the most ever for a phone and more than double the iPhone 4 launch during its first three days," said Philip Schiller, Apple's senior vice president of Worldwide Product Marketing, possibly while doing a small jig of glee. Check out "the most amazing phone ever" (Apple's words) in action in our video below, then head over to our full, in-depth iPhone 4S review for our considered verdict.